Google (S GOOG) really wants businesses to use its Hangouts video chat, and new changes make it easier for companies to actually do so: Hangouts can now be accessed with any Google account, even if the user doesn’t have a Google+ profile, and Google Apps customers can now chat with up to 14 other people in HD. Moving away from requiring Google+ profiles for Hangouts will undoubtedly spur further speculations about the future of Google’s social network, but the move also addresses a real problem: Many Google users only have a Google+ profile for their personal account, but not for their work email — or if they have both, they’re likely just going to use one of them. Tying Hangouts to Google+ profiles not only complicated Hangouts usage, but actually also Google+ itself. Everyone here on this beautiful Earth is ultimately striving for the same thing; Profit. Being deemed as “successful” and/or “wealthy” does not necessarily mean that you have “gained” anything meaningful. Sure the money, cars, and expensive clothes are nice while they last… but what are you really going to profit from them?? Details: To Register for a spot in the parade stop by the Town Hall at 321 Myrtle Avenue, Pawleys Island, SC 29585 a spot will cost $15 for registration in advance and $20 for registration on the day of the parade. Details: Admission is FREE. 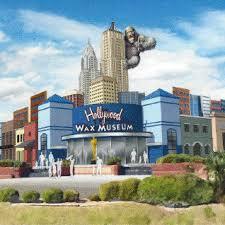 Enjoy unique shops, exceptional dining, and award winning attractions. Details: Admission is FREE. This years event is expected to be bigger and brighter than ever before! No matter how hard we have pushed in life and worked towards a profitable “happily ever after”, we all have… and probably will again, experience great loss. 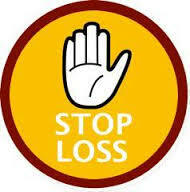 Whether it be the loss of a great job, a loved one, or even your home… we will at some point in this lifetime “Lose”. There is however an underlying solution to this misfortune which is unfortunately hard to conquer due to our human nature but its as simple as this: “Turn your loss into a profit, so that you may Never Lose”. If you lose a job… Gain the knowledge and understanding of what you learned in that position. If you lose a loved one… Gain a lifetime of priceless and irreplaceable memories. And if you lose your home… Gain the Strength of Survival! “ALL Profit can be destined for LOSS… But each time you LOSE, you GAIN the opportunity to Truly PROFIT”. 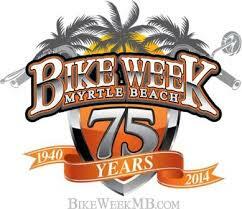 Its that time of year again; the world famous Myrtle Beach, South Carolina Bike Week. This year the events will be held from May 9th through May 18th 2014. According to some accounts, Myrtle Beach Bike Week has been given a reputation of trouble and mischief; However, this time of year is my personal favorite although I do not own nor ride a motorcycle. During Bike Week at almost any corner you turn, you will see large herds or Bike’s and groups of family, friends, and even strangers hanging out together and enjoying the beautiful sunshine. Vendors line the coastal streets to sell their hats, shirts, belts, etc. as memorabilia for what is bound to become a bikers best week ever. *** Any Day (See http://www.myrtlebeachbikeweek.com/ for details) The Loop Tour – The longest motorcycle tour during bike week is an approximate 190 – 200 mile ride through Horry and Georgetown counties of South Carolina. Visit the myrtlebeachbikeweek.com website for more information. Parts of the 2014 Rally, Northern Tours, Southern Tours, and the Loop Tour will be filmed for a documentary. If you have never experienced the excitement and free spirit of a Myrtle Beach Bike Week Rally, come on down for the weekend and enjoy your ride along the beautiful grand strand beaches. The Daily Post is taking a much-needed break for a few days, but we don’t want to leave you high and dry. We’ll be sharing some of our favorite quotes about the creative life. Read more from Andre and other writers like Stephen King, Elizabeth Gilbert, Amy Tan, and Jonathan Franzen in The Atlantic. After debuting the Galaxy S5 with incremental design changes from the prior few models, Samsung is mixing up the leadership of its mobile design team. Lee Min-hyouk, the company’s vice president for mobile design, is stepping up and replacing Chang Dong-hoon, who had been leading the team, according to a Reuters report on Thursday. Thanks largely to its Galaxy line of handsets from 2010 through now, Samsung has become the top-selling smartphone brand in the world. Design likely isn’t the reason why, however; at least not primarily. The company has built up sales through aggressive marketing campaigns with big budgets, for example. And while Samsung has previously touted the design elements found in the Galaxy phones, you don’t have to look far for consumer criticism of it: The Galaxy line hasn’t changed much in the past three models and some prefer metal phones over Samsung’s use of plastic. The Federal Trade Commission on Thursday announced that has it reached a settlement with Snapchat, a popular vanishing message service, over the company’s “false” promises. The FTC points out that Snapchat marketing claimed that messages “disappear forever” even though message recipients could employ a variety of easy workarounds, including screenshots and third-party apps, to preserve a copy of the messages indefinitely. The FTC also claims that Snapchat collected information from iPhone(s aapl) users’ contact lists without their knowledge or permissions, and that it failed to secure its FindFriends feature, which led to a hacking breach that exposed data of 4.6 million users.